Archaeologists have known since 1919 that Easter Island's heads have bodies. The heads are attached to bodies that in many cases are completely buried. Visiting this fascinating place and these curious inhabitants is something Judy, Logan and I got to do in 2010. Here's a recent story about the place and a link to the slide show of my photography of the island. The trip to Easter Island is brutal so this review might save you some trouble. 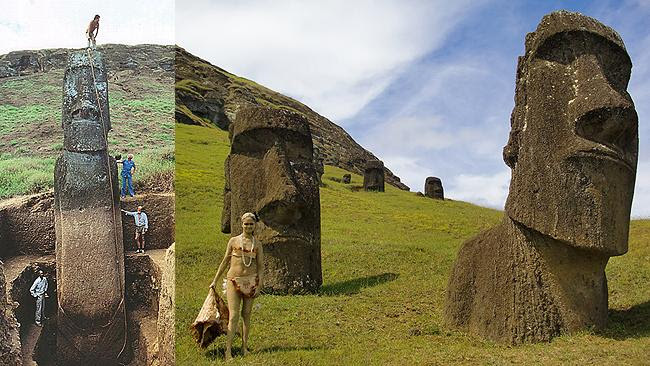 Pictures: Easter Island Statue Project.